Avoiding outrageous costs of roaming during oversea travel. This Travel tip may save you from burning your house with your busy fingers playing unsmartly on your smart phones. 1. Beware of the HIGH COST of staying connected. 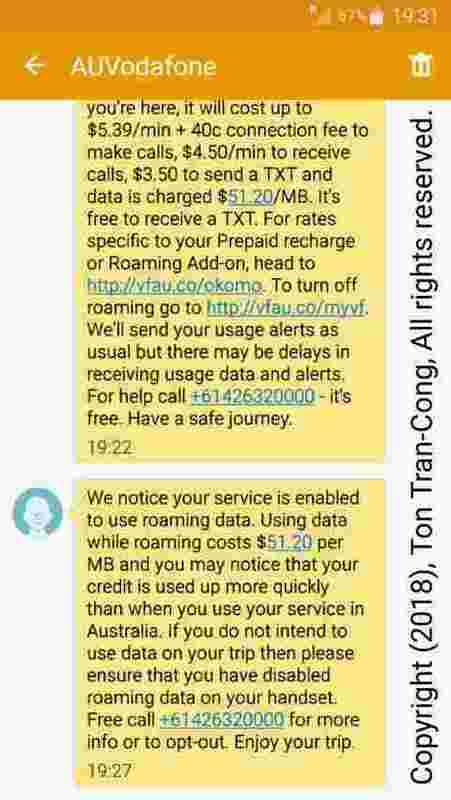 Figure: Screen capture of an actual Warning SMS from Australian Vodafone on the outrageous roaming costs at Singapore Transit lounge on 2018 December 13th. Internet roaming cost WAS INDEED $51000/GByte versus $2/GByte inside Australia. Welcome to Singapore. Warning – you have activated your mobile device overseas. Significantly higher charges may apply. 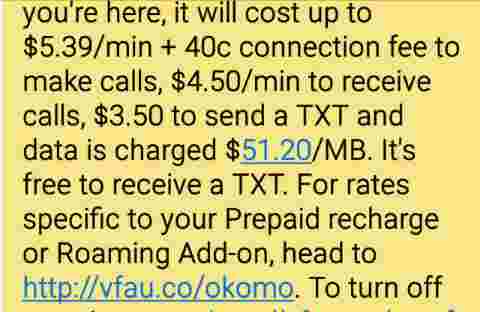 While you’re here, it will cost up to $5.39/min + 40c connection fee to make calls, $4.50/min to receive calls, $3.50 to send a TXT and data is charged $51.20/MB. It’s free to receive a TXT. … For help call +61426320000 – it’s free. Have a safe journey. The roaming phone cost is $5.39/min, the roaming SMS cost is $5.30. They are about 5 times the cost for equivalent service in Australia. But the dangerous killer is the roaming internet cost of $51.20/MB = $51200/GB which is 25000 times the cost of equivalent service in Australia. Therefore someone watching a movie at the transit lounge may burn about $25000 for that 0.5GByte movie. DON’T CONNECT JUST BECAUSE YOU CAN. STAYING CONNECTED MAY BE INDEED EXPENSIVE. 2. Preventing expensive roaming costs by not using post-paid phones oversea. a- Bring along your trip only prepaid phone cards or sims so that you cannot spend more than you have paid into those cards. b- Buy locally sold cards and use them in their issueing country. Send an identifying message prior to any communication so that recipients know who is talking to them. c-Before departing you may redirect all incoming calls to your pre-paid numbers (already pre-paid in your home country). This limits your spending. 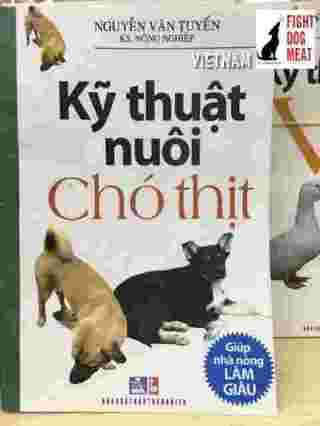 Short history of dog eating in Vietnam. 1. Dog eating in ancient literature. Generally, Vietnamese people who espouse the virtues of loyalty and hard working are against eating dogs, cats (which trust and are loyal and obedient to the owners) and buffaloes (which do heavy agricultural works and are loyal and obedient to the owners). Military people keep horses instead of buffaloes. Their horses are companions to them just like buffaloes to the peasants. However, there are always people who want to rebel and challenge the customs by eating those four types of animals. Buddhism started in or near to India about 200BC, spread out and reached Vietnam a long time ago. Buddhism is strongly against eating dogs. It has a story of a lady Thanh De who fed dog meat to Buddhist monks and suffered severe consequences [5, 6, 7]. 2. Recent history of dog eating. 2.1- During the anti-colonial insurgency war against the French, the insurgents ordered civilians in Vietnam to eat all dogs so that insurgents won’t get bothered and revealed by their barking. 2.2- During the partitioned time (1954-1975), North Vietnam had little food and civilians were not allowed to keep dogs. Those having dogs must dispose of them. 2.3- During the communist insurgency war against the Republic of (South) Vietnam, the insurgents order civilians in country side of South Vietnam to dispose of all dogs so that insurgents won’t get bothered and revealed by their barking. Naturally, the anti-communist government of South Vietnam encouraged people to keep dogs as companion animals. 2.4- After the partition of Vietnam in 1954, there were millions of people from the North (Bac Ky: Northern Zone) moving to the South (Nam Ky: Southern Zone) to avoid the communist regime to be set up in the North. There are much higher percentage of 1954-Northerners eating dogs than Southerners. 2.4- Southerners do eat wild foxes (cầy). (Fox meat and peeled potatoes are hard boiled in coconut extract with added onion slices and turmeric powder). Northern Vietnamese then disguise their habit by calling dog meat “fox meat” (thịt cầy). Currently dog meat restaurants use the word “cầy” (foxes) to hide the real meaning of dogs. 2.5- After victory by Communist forces in 1975, many more Northerners (“Bac Ky 75”) moved to the South. The percentage of 1975-Northerners eating dogs is even higher than the percentage of 1954-Northerners. 3. Current state of dog eating. 3.1- In some regions of North and Central Vietnam, it has been a custom in recent years to serve dog meats for family reunion on the anniversaries of the passing away (đám giổ) of their ancestors. 3.2- Not only eating dogs, Northerners also have village Tet festivals where buffalos duel to death (chọi trâu). Both the winner and loser buffaloes are then slaughtered. Meat of the winner is served to the most honored guests, the loser to the next in rank.[15-19]. Phù Sai… viết một bức thư, buộc vào mũi tên, bắn vào thành Việt: “Tôi nghe giảo thỏ chết thì chó săn tất bị mổ, địch quốc đã diệt thì mưu thần cũng chẳng còn. Sao quan Đại Phu không lưu cho nước Ngô tôi còn lại một chút để làm cái dư địa sau này”. Phạm lãi … Một thời gian sau đó, ông mới viết một lá thư gửi cho Văn chủng, đại ý nói sau khi chim muông bị bắn hết rồi thì cung nỏ bị cất hết vào kho; Sau khi thỏ hoang bị săn bắt hết rồi thì chó săn bị mổ ăn thịt. Hiện nay kẻ thù của nước Việt đã bị tiêu diệt, các đại thần có công người thì bị ruồng bỏ, kẻ bị bức hại. (1. Lỗ Trí Thâm, 鲁智深 from China. #five spice, #mixture, #star anise, #amomum, #cloves, #Sichuan pepper, #fennel seeds, #liquorice, #cinnamon. 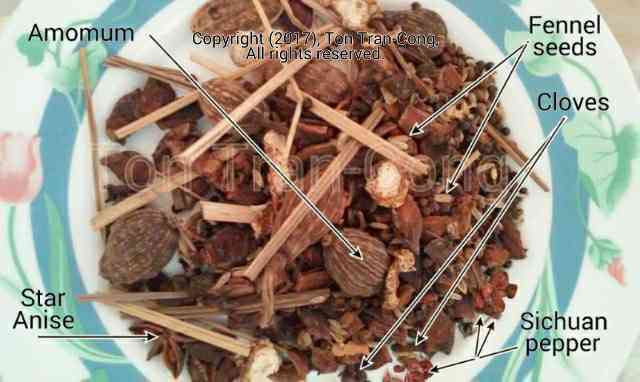 Figure: A Five Spices mixture. It is a special ingredient mixture for cooking to give the distinctive smell and taste of Vietnamese rice noodle soup “Pho”. Figure: A Five Spices mixture. It is commonly a mixture made up of up to seven ingredients: 1.star anise, 2.amomum, 3.cloves, 4.Sichuan pepper, 5.fennel seeds, 6.liquorice, and 7.Chinese cinnamon. The name implies that it is a mixture of five varieties of spices, with all having similar smells. The ready mixed mixtures sold in shops usually have six or up to seven ingredients. Only the first five ingredients listed here are present in most mixture bags. They may be the original five ingredients. They are: 1.star anise, 2.amomum, 3.cloves, 4.Sichuan pepper, 5.fennel seeds, 6.liquorice (later addition? ), and 7.Chinese cinnamon (later addition?). Liquorice is widely used in Orient as an agent to prevent cold and flu (proof required), overuse of liquorice may cause bleeding in the nose. Cinnamon is also widely used in Orient as an agent to prevent cold and flu (proof required). When used as a spice, cinnamon seems to inhibit moulds from growing in soup broth. Star anise gives the predominant smell of Five Spices mixture. Some people put star anise into Vietnamese sticky rice alcohol to make alcohol with anise flavor. Eating too much food cooked with five spice mixture will make your sweat and urine have its smell. 4. Where to find it. Please note that round worms are quite different from human beings. Fable of a donkey and the hut of his master. 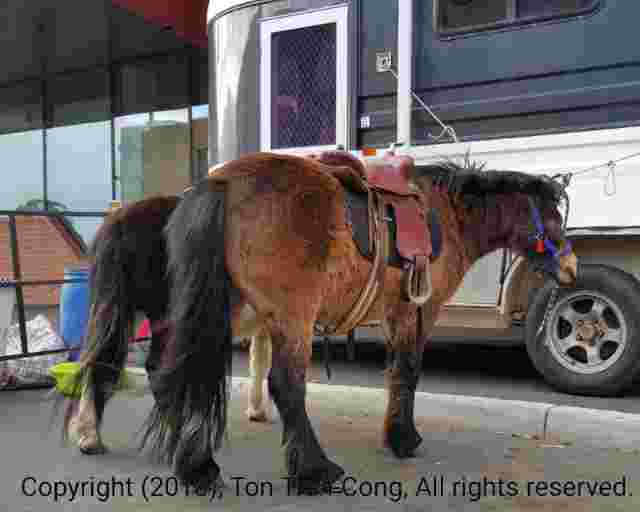 Figure: Two donkeys tied to a donkey transport vehicle. Once there was a man who used to have his donkey tied near to the door of his hut. On a cold night he heard the thumpings on his door. “Master, it is cold for my head, I want to put my head inside your hut.” The master thought that he should help his donkey and agreed to the request. The following night, he woke up in the night to see the donkey squeezing him while saying to him: “Master, it is too cold outside, not only you but both of us had to be inside, I now only have my front half inside.” He felt upset but he had no strength to push the donkey out of the hut. The morality is Always make clear to the recipients of your help that your help to them is not limitless. Please sign and pay up to be spied on ! Please sign and pay up to be spied on. The irony is that you, as an individual, voluntarily agree to and pay to install and upgrade the devices that may spy on you even in your own home. Your mobile phones, security cameras, modems can help someone to spy on you. Even your fridge can help someone to send emails to you [1, 2, 3]. Any spyware now is so clever that you have little chance of discovering it by yourself . A spyware may hide undetected inside your own computer [5, 6]. Spyware problem is so widespread that people have to help each other (through social network) to remove them . Widespread use of smart phones which are miniaturized computers even bring into existence some around the clock spyware. Any smart phone spyware may (or may not ?, to maintain deniability by manufacturers) be pre-installed in your smart phones by manufacturers [8, 9, 10, 11, 12]. You cannot say that the US military is paranoid when it bans all phone gears manufactured by (Chinese) Huawei and ZTE. [13, 14]. Even so the US government is still worried about being spied upon by China which manufactures a high proportion of US computing equipment and components [15, 16, 17, 18, 19]. For any individual, he gets to remember that his privacy may be compromised by any of the smart devices he brought home ! In-flight Panic – Stay Calm! Pilot …..
via In-flight Panic – Stay Calm! Pilot ….. Comment by tonytran2015: Quite a hilarious account of actual cabin announcements.